September 2018, Phuket, Thailand – From 8th to 17th October 2018, Angsana Laguna Phuket will be featuring an exclusive dining promotion during the annual Phuket Vegetarian Festival. Also known as The Nine Emperor Gods Festival, the century old festival honours the Chinese community’s beliefs that abstaining from meat and other stimulants, including alcohol, will purify both body and mind, bringing good health and fortune. During the street parades around town, some devotees participate in fire walking and body piercing rituals. Due to its exhibitionist nature, curious visitors often gather to witness this spectacle for themselves. 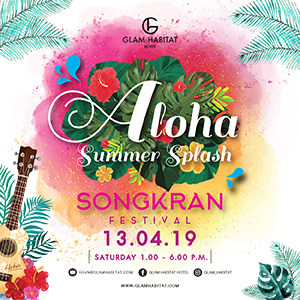 In conjunction with the festival, Angsana Laguna Phuket is offering an exciting four-course dinner set menu at the resort’s signature Thai restaurant, Baan Talay. Set in a stunning classic Thai pavilion, Baan Talay will serve diners a wide array of traditional vegetarian Thai dishes. Guests can look forward to Deep Fried Vegetable Spring Rolls Served with Mango Salsa, meat-less renditions of Thai staples like Green Curry and Phad Thai (Stir Fried Rice Noodles with Tofu, Bean Sprouts and Chinese Chives), and end their meal with the much-loved KhaoNiawMamuang (Black and White Sticky Rice with Traditional Ripe Mango and Coconut Sauce). Ideal for sharing between family members or large groups of friends, Baan Talay will be presenting these culinary delights under the ‘GIN JAY’ (which translates to ‘eat vegetarian’) promotional name. With its stunning location along a stretch of the pristine Bang Tao beach, Angsana Laguna Phuket is a unique resort structured around a scenic lagoon. Travellers in town for the Phuket Vegetarian Festival will love Angsana Laguna Phuket’s chic and dynamic accommodation options, ranging from the 40sqm Laguna Room up to the Angsana Grand Pool Residence, which can fit up to eight guests. The resort offers plenty of beach activities and water sports. On-site amenities include a 300-metre free-form pool, an award-winning golf course, and one of Phuket’s top beach clubs, XANA Beach Club.